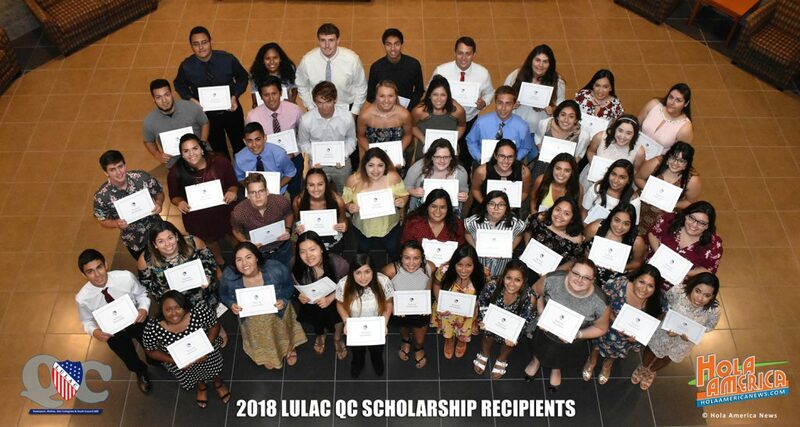 Pictured here are the 2018 LULAC Council 10 Scholarship Recipients. By now all these students will all be involved in receiving a higher education. Every year LULAC awards thousands of dollars in scholarships to Hispanic and other students. Since 1978 LULAC Council #10 has awarded over $500,000 in scholarships to over 800 students. Funds are raised by Council 10 locally through weekly BINGO nights, the annual Fiesta, an annual golf outing, an annual poker tournament, corporate sponsors, individual donations and a few other local events. The deadline for submitting applications for 2019 is March 31, 2019. Submit all applications to: LULAC Scholarship Fund, P.O. Box 4616, Davenport, IA 52808-4616. No applications will be accepted after that date. Scholarship applications are open to entering freshman and upper classmen residing in the Quad City area. The Quad Cities metropolitan area includes Davenport, Bettendorf and Pleasant Valley in Iowa; and Rock Island, Moline, East Moline, Silvis and Milan in Illinois. No applications will be accepted from beyond a 50 miles radius of the Quad Cities. Applications may be obtained by clicking on Scholarship Application link on our home page or contacting Scholarship Chair Matthew Casillas at 563-381-7807. Have you received a scholarship from LULAC in the past? If you have, please show your appreciation by helping another student achieve his or her dreams too.